On CIA torture horrors – note that the report does not include torture by groups other then by the CIA! It doesn’t include rendition to black sites where torture took place by others. It doesn’t include what goes on at Guantanomo (still). Who are these psychopaths that do this? And who orders it done? I once asked what the profile of a torturer is and the answer was, your next door neighbor if he is convinced you are a threat. That is probably true but the answer is incomplete. I think there are sadists out there who do wind up in the military. And, it is a tool of terror which makes many very hesitant to join the opposition. Today many aren’t opposing anything – they were just in the wrong place at the wrong time. And the scum in power that ordered all this are free to lead lives in luxury, no legal action against them, while innocent Black men in America die in the hands of police at the rate of about 2 a week. CIA employed interrogation techniques “far worse and brutal” than it admitted, investigation reveals. The tactics discussed in the document include threats that Abd al-Rahim al-Nashiri, a suspect in the 2000 bombing of the USS Cole, would have his mother “brought before him and sexually abused.” He was also threatened with a power drill. Reacting to the report, US President Barack Obama said the CIA actions “were contrary to our values”. “I hope that today’s report can help us leave these techniques where they belong – in the past. Today is also a reminder that upholding the values we profess doesn’t make us weaker, it makes us stronger and that the United States of America will remain the greatest force for freedom and human dignity that the world has ever known,” he said in a statement. Al Jazeera’s Patty Culhane, reporting from outside the White House in Washington DC, said the aim of the report was to guarantee that torture was never used again in any sort of covert programme. “But it is not exactly clear why the Senate has that confidence. Remember, no one was prosecuted for the programme,” said Culhane. Another Al Jazeera correspondent, Kimberly Halkett, reporting from Capitol Hill in Washington DC, said it was unclear what Congress would do next. “It is hard to say what Congress will do, because Congress had plenty of opportunities to do something and yet did not,” said Halkett. 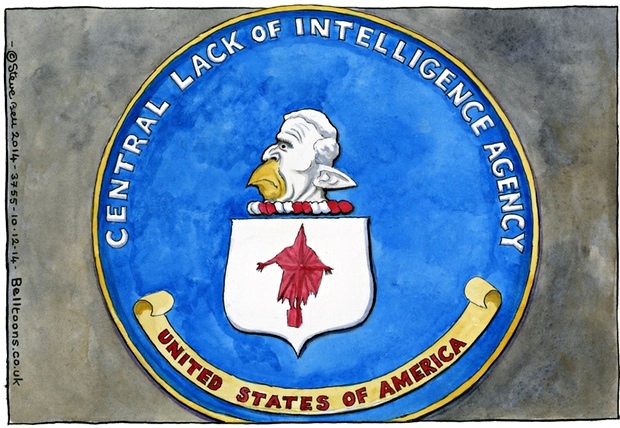 Amnesty International said the report makes clear that the CIA was acting unlawfully “from day one” and its brutal interrogations were not a rogue operation. He noted that the Obama administration had ended many of the practices described in graphic detail in the report.